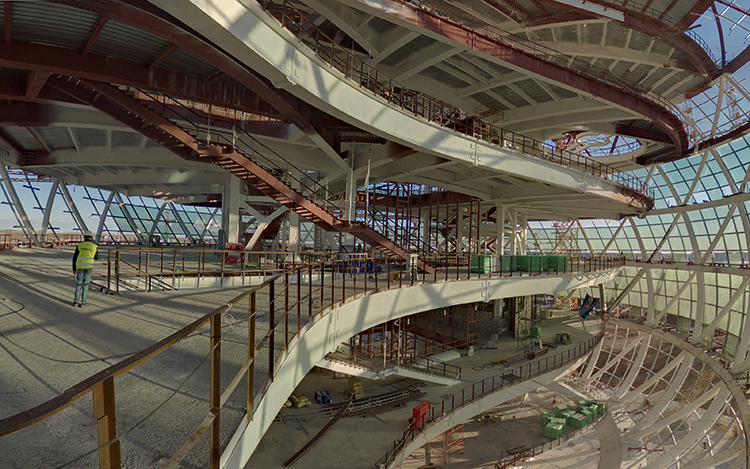 CHICAGO, 14 June 2016 – Astana Expo City 2017, the site of the world’s next international exposition, is now under construction in Astana, Kazakhstan. The Expo’s master plan and 28 buildings were designed by Adrian Smith + Gordon Gill Architecture (AS+GG) around the designated theme, “Future Energy.” The Future Energy concept is aimed at finding ways to achieve qualitative changes in the energy sector, primarily for the development of alternative sources of energy and transportation. AS+GG was selected as the winner of an international competition that featured 105 entries from all over the world in 2013. Once their conceptual design was completed, AS+GG worked under a design-build contract with IT Engineering, a group consisting of Sembol Construction and Mabetex Group. Located south of Bayterek Tower and east of Nazarbayev University, Astana Expo City 2017 is positioned to become a significant new landmark neighborhood development in Astana. The overall goal is to reduce the energy demand of the site to the greatest extent possible by using both passive and active strategies. The master plan and architecture were primarily determined by site-specific indicators such as solar and wind orientation, weather conditions, and the cultural context. The design team executed a series of studies with the goal of minimizing the site’s energy-use while maximizing its energy-harvesting potential and comfort levels. A significant part of the energy consumed by the Expo community will be provided from renewable sources. Strategies incorporated into the building design include high-performance glazing that will maximize solar heat gain in winter while providing shading in summer; energy piles that will reduce energy demand and exposed thermal mass that will provide temperature modulation within the buildings during both summer and winter; 100% of rainfall from a 100-year storm event will be managed on site; and 90% of waste generated on-site will be diverted from a landfill. 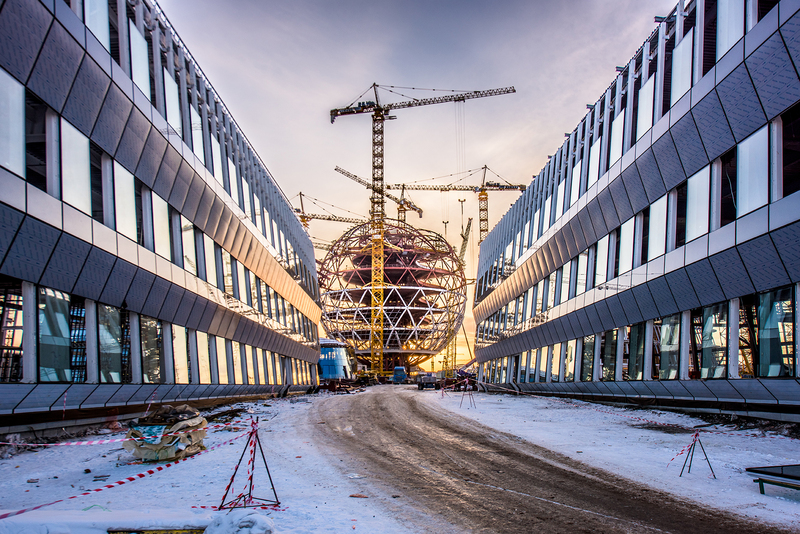 Astana Expo City’s exposition phase will run from June 10-September 10, 2017, while a secondary, post-exposition legacy phase will convert the site into an office and innovation park with additional residential developments that will attract international companies and entrepreneurs. When completed, the legacy development will be one of the most sustainably built in the world. The design calls for 100% of the Post-Expo non-potable water demand to be provided by the on-site water reclamation facility and 24% of the Post-Expo electrical demand to be met from on-site BIPV energy systems. As designed, the total Post-Expo grid energy demand is 49% less than an ASHRAE 90.1 2010 Baseline, while the office buildings will use 22%-40% less energy than ASHRAE 90.1:2010 Baseline. Overall grid energy reduction is 59%. Other key areas that add to the efficient legacy transformation include developing Expo parking areas into residential neighborhoods; integrating exhibition buildings into a first-class office complex; orienting the site for dedicated pedestrian and bike lanes; and creating dozens of public transportation links to the rest of Astana.